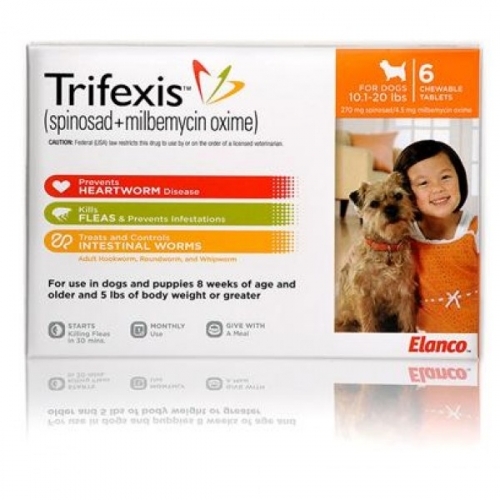 Trifexis is a monthly chewable tablet for dogs that kills fleas, prevents heartworm disease and treats and controls adult hookworm, roundworm and whipworm infections. 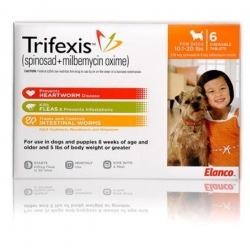 Trifexis combines two trusted active ingredients to provide protection for your dog against these three kinds of dangerous parasites. And Trifexis is beef-flavored, so you can offer it as a treat.